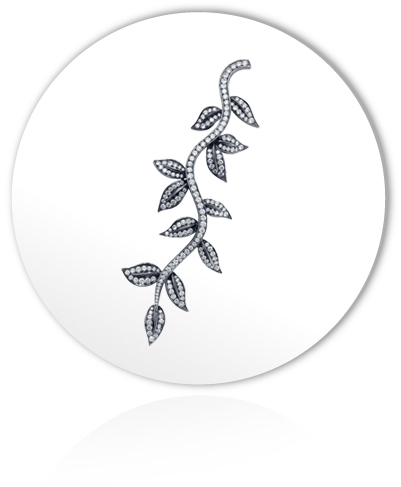 A one-of-a-kind diamond brooch, set in 18k blackened gold, with extra-white brilliant cut diamonds. 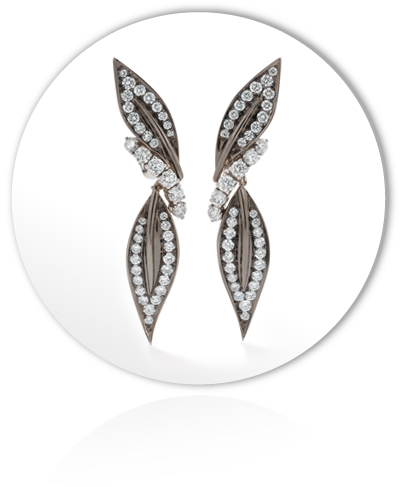 An elegant diamond suite necklace set in 18K blackened gold with extra-white brilliant cut diamonds, complemented with a matching pair of diamond earrings. 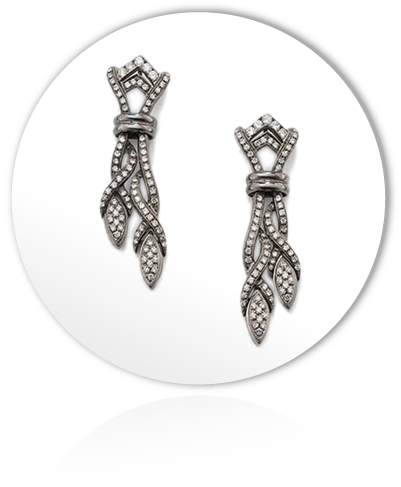 An elegant pair of diamond earrings, set in 18k white and blackened gold, with extra-white brilliant cut diamonds. 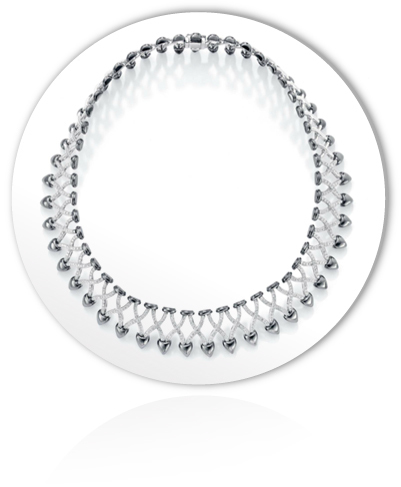 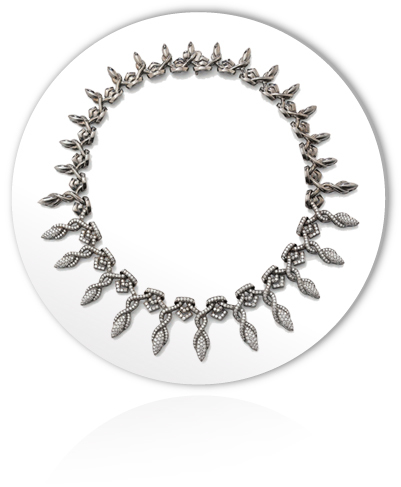 A sensual diamond collier de chien, set in 18k white and blackened gold with extra-white brilliant cut diamonds. 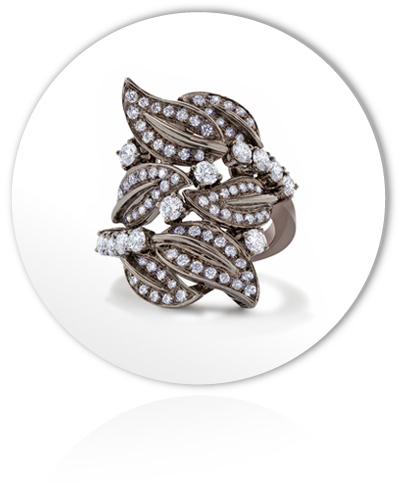 An elegant diamond ring from the Black & White Collection, set in 18k gold with extra-white brilliant cut diamonds.